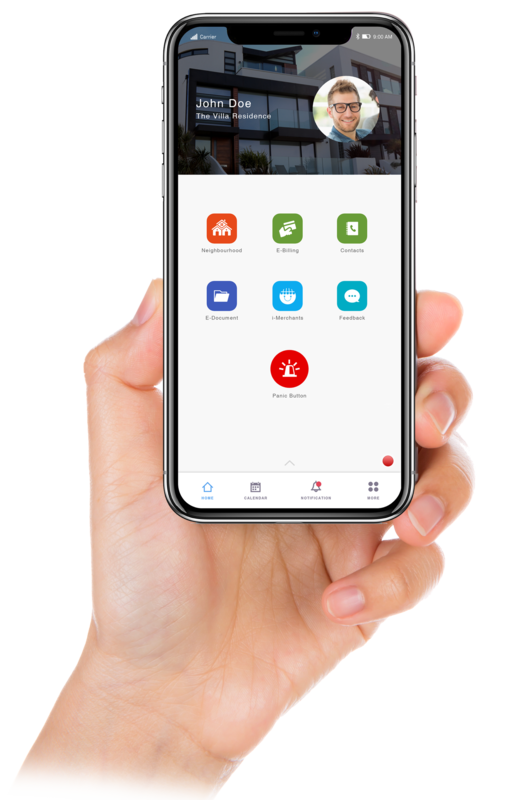 i-Neighbour is an up and coming smart community solution designed to offer residential communities with the latest technology in visitor management, vehicle access security, building management and many more. i-Neighbour utilizes cloud technology, IoT and mobile App to present residential communities with a modern and convenient way of smart living. The latest residential to adopt i-Neighbour as a Smart Community Solution is double storey semi-detached Lake Pine Villas at Austin Perdana, Johor Bahru. This housing development which was completed in 2009 has a total of 217 unit villas altogether. To keep up with the latest trend in managing a residential community, Lake Pine Villas turn to i-Neighbour to replace its conventional visitor registration using logbook that was found ineffective because the management found it to be very difficult to trace any visitor records. By using i-Neighbour Visitor Management System (VMS), all the in-out activities of visitors are up to date and recorded in real time, making monitoring of visitors a breeze. The resident installed i-Neighbour Guard Panel at the guard post while the residents use their own mobile devices to manage i-Neighbour. On top, i-Neighbour’s other features such as announcement, e-info, intercom, panic button, complaint submission and many more is making life easier for residents of Lake Pine Villas. All information about the residence is centralized in the i-Neighbour App for easy use and reference by all stakeholders. Now we know who are our visitors, and i-Neighbour makes me feel that my community is secured. As a community platform, all residents can feedback to the management with few simple taps, so convenient.